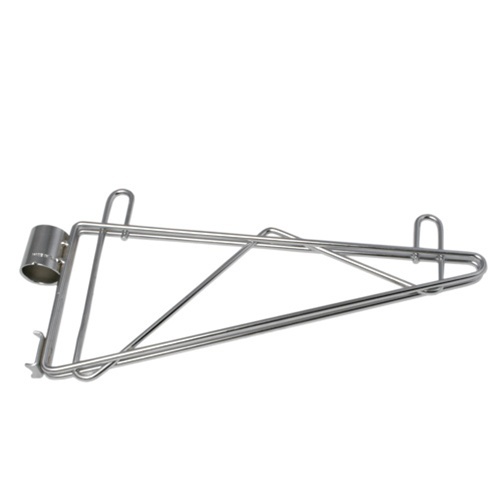 Our adjustable wall mount shelf brackets allow you to create your own customizable wall mounted shelving units. Sold individually these brackets work with our wall mounted post kits. We as a family have discovered that we're sensitive to smells (chemicals) so we purchase household items that do not store smells. 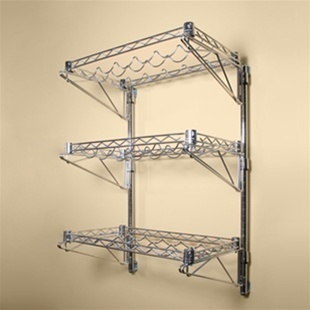 Most metals, like for example the wire shelving from "shelving.com", do not off-gas. Besides this the shelving looks attractive and is very functional. Herb & Pat F.